Get Your Creative Tattoo Art Ideas easily! 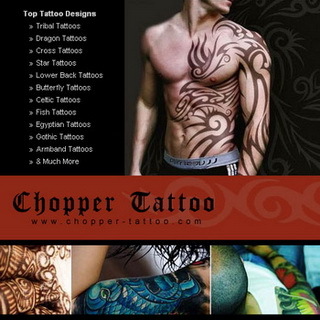 Hundreds of ideas to help you pick your new tattoo! If you happen to be one of the tattoo enthusiasts who like to have something unique printed in your body, the Maori tattoo design can fit you well. In New Zealand, the indigenous people called Maori who were known to be fierce warriors were fond of tattooing their bodies to serve as their identity in battle. They used the word Moko as the name of the tattooing process. Based on the legend, a young warrior named Mataora had a relationship with the underworld princess called Niwareka. Because of ardent affection to her lover, the princess decided to leave her father to marry him. But later when she was being maltreated by her husband, she returned to the underworld in the arms of her father. Finally realizing his mistake and feeling lost of her love one, the husband decided to follow her to the underworld enduring all the difficulties on his way to win her back. After the reconciliation, her father taught him the art of Maori tattooing, and he was impressed with the outcome of his Maori tattoo designs that he inscribed these tattoos all over his face. 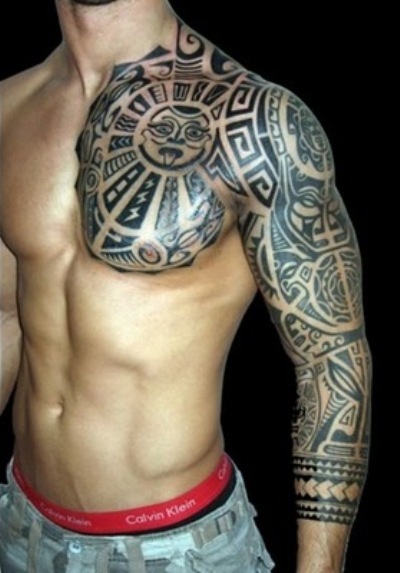 That was the start in popularity of Maori tattoo design among the Maori tribe. Some of these tribal people also adopted moko, or the tattooing method from their homeland in the Eastern part of Polynesia. 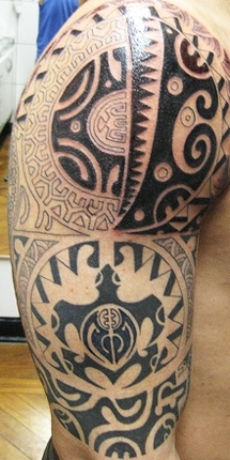 A visible difference can be seen between the Maori and Polynesian tattoos. 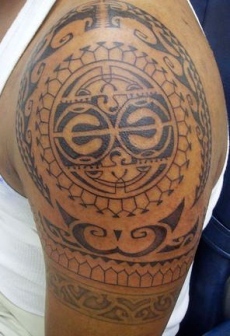 The Maori tattoo design has spirals and curves, while the Polynesian tattoo stick on a straight line design. If you compare the markings on the body between these native tattoos from modern ones, you will find out that there are a lot of differences. The Maoris used knives and chisels to carve their skins with a Maori tattoo design instead of puncturing with a needle as in contemporary body art. Men used to wear moko artistic symbols to show their rank in the village. Their status and positions were also identified based on the images that they had in their faces. Both male and female had moko artistic tattoos representing their personal identities, with men wearing them all over their faces, while women had designs on their chins and lips alone. The immense popularity of Maori tattoo designs has been extended to these modern times with great appeal to young tattoo enthusiasts that led to the availability of a wide selection in online galleries for you to choose from. Since it may not be so easy to select the best Maori tattoo design considering its sensitivity and need for a thorough knowledge of the Maori customs and traditions, you can depend on the selections available online. 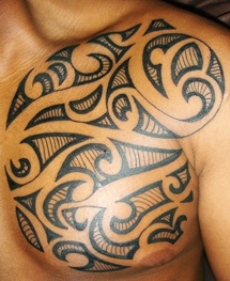 Contemporary Maori tattoo designs are usually placed on the body compared to the old tradition where they generally appear on the face. Take note that wearing a moko design may pose as an insult to the Maoris, and this can be perceived as stealing one’s identity. Therefore, if you are highly impressed with a Maori tattoo design, and you really want to have it embedded in your body, consult an expert tattoo artist who can produce a similar design away from copying their precise symbols. Need Help finding the right Tattoo? 4000 Award Winning Tattoo Designs here..
Wing Tattoos at Full Back: Angel or Devil? Finding Tattoo Designs of Libra Signs? Is Statue Liberty Tattoo Only for Patriotic Citizens? Thomas on Finding a Koi Fish Tattoo Gallery?